Six months ago I knew that my arms, my hands, and my voice were also yours. Six months ago I declared war against death. The Lenca social justice fighter Berta Cáceres was assassinated this past March 3 in her hometown of La Esperanza, Honduras. 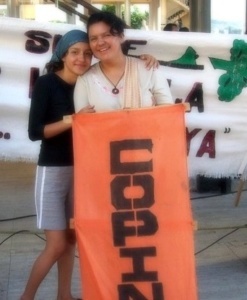 From the outset, Berta’s family and the Civic Council of Popular and Indigenous Organizations of Honduras (COPINH), of which Berta was the coordinator, blamed the D.E.S.A. company that is building a destructive hydroelectric dam along the Gualcarque River. Six months later, her daughter, Berta—one of Berta’s three children who have taken on the mantle of the struggle, writes this letter to her mother. 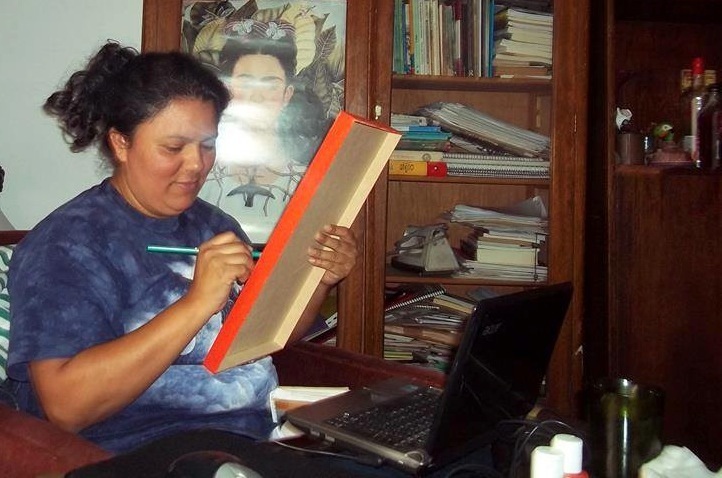 Letter to Berta Cáceres, my mother. Six months ago I was traveling from Mexico to Honduras with great urgency; time had slowed down. I had to meet up with Laura and Salva so that we could bid farewell to your hands, to your eyes. The news of your assassination made sense. Days earlier, we had been writing a communique together to denounce the reactivation of the Agua Zarca project on the other side of the Gualcarque River. We bet on stopping the project by denouncing the role that the financing banks play as accomplices, even as we recognized the aggressiveness with which DESA operates and understood they had no intention of stopping the project. I could never believe that you weren’t here. I never cried with complete pain; I cried from indignation at how the world had permitted your death, at what depraved beings had dared to mutilate your body with bullets, at knowing that we would no longer have your voice. It made me afraid to know that you had prepared us well for this news, that you had trusted that when your voice was no longer here ours would be, the voices of thousands to speak for you and to continue crying out what you always cried out: Justice. The path in search of justice has been a torturous and silent one, but it has also been one full of arms, hands, and hearts that refuse to let Berta Cáceres die with such impunity. At six months it outrages us that we are still requesting the participation of an Independent Investigation Group that would permit us to know the truth of this crime, and that the dictatorial, coup government of Juan Orlando Hernandez (“JOH”) continues to ignore our request. It outrages us that banks like the Netherlands Development Finance Company (FMO) have no intentions of terminating their financing for this project of death, and to know that they were always aware of what was going on, that they never cared nor do they care about what we have suffered as a result of their colonialist attitude and their bloody money. Now I often listen to one of your favorite songs and it permeates my heart: “…and even though the night settles in the moon returns, love returns”; this was one of your principles. You lived through all possible adversities and you were never stopped and you always smiled. You were filled with satisfaction as you fought side by side with your people, making revolutions at home and in the streets. And now this is what we do: Smile and fight like warriors, without ever losing hope. That 3rd of March I lost you and I gained a ton of aunts and uncles, brothers and sisters. We will continue to fight for you with you values, your strength, and your happiness, without fear: they have not assassinated Berta Cáceres. They didn’t kill my mom, and those who tried to kill her messed up because she’s still here, she lives in each and every one of us, and as long as we continue to fight against this murderous dam, against all dams, against the privatization of the forests and the oxygen, then we will keep forging this path and that is where my mother will live on, there will live Berta Cáceres. We will fulfill our promise.